I'm designing a 3D printable 4WD robot frame you can power with Flutter, and I wanted to see what your thoughts on it were. Everything except the bearings, drive belts, and electronics are printed. There are 4 printed fasteners but mostly everything fits together using clips and interlocking parts. Incidentally, the electronics and motors are the same as those for a quadcopter, though hobby speed controllers may not go slow enough. The idea is to design a good open source robotics platform that has a minimum of non-printed parts. This allows infinite customization, easy online collaboration, and quick repairs of broken parts. I know a basic wheeled platform for researchers can be $500 but this is less than $100 in parts, and could be made to be even cheaper. What do you guys think!? This is the kind of thing we could sell as kits on Kickstarter or something after we've delivered your rewards. 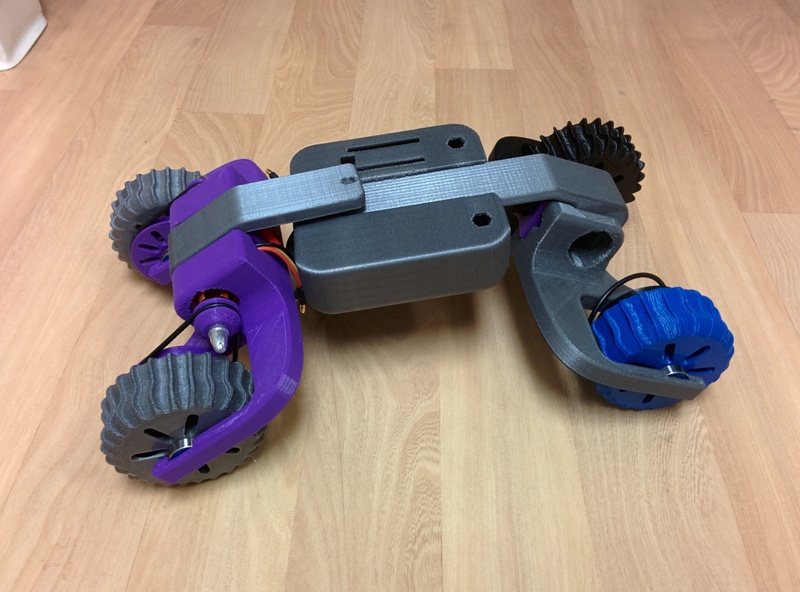 I love the idea of teaching high school kids how to print, build, and program their own robots, and I'm curious what you all think of it too. Have you thought of using ninja flex or another rubber like fillimant for the tires and other parts that need to flex or be grippy? I have! My Ultimaker has a long bowden tube so I don't know if rubbery filament will work for me. For now I am sticking with PLA, but I am hoping to spend some time with the Form1 printer at our hacker space soon. That has rubbery materials and crazy good print quality! 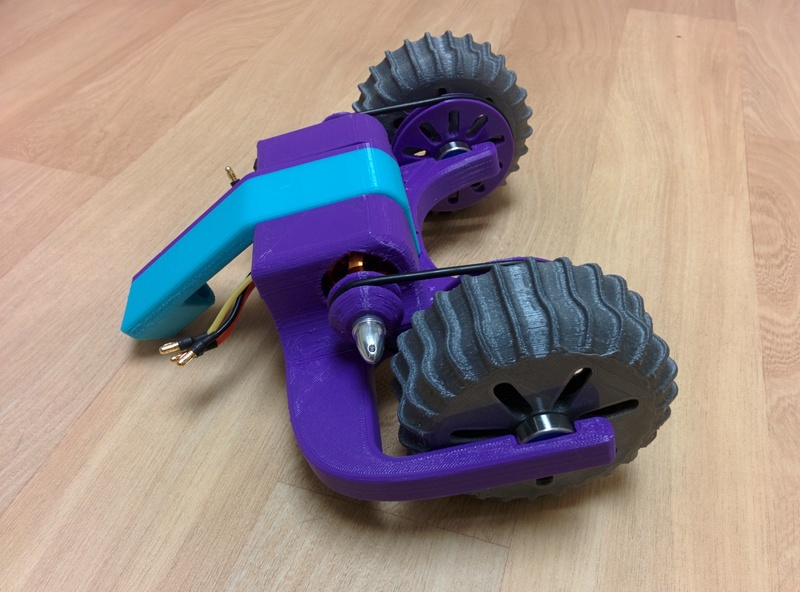 For now I am honing the design for printable bot V1.0. On the third generation prototype and it is looking very good. Made things a lot smaller to reduce print times and cost. Working on making a basic 2WD platform that shows off the concepts and is actually useful to people. Behold a long and rambling video in which I explain my latest 3D printed robotics exploits.